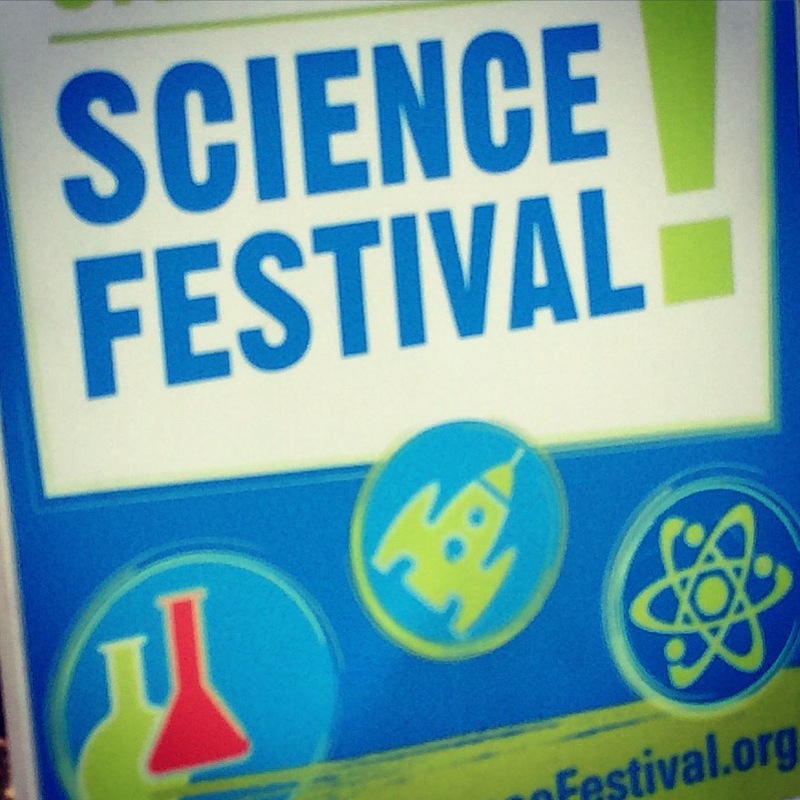 For the last eight years, our fair city has held a 10 day, city-wide science festival; first of its kind in the United States. It is a multifaceted, interactive celebration of STEAM. With collaborations from local universities, public schools, the Museum of Science, the festival presents events ranging from lectures and exhibitions to concerts and workshops. From robot zoos to rocket launching day, there’s a little something for everyone to enjoy. Today we attended Rocket Day at the park. There was so much excitement in the air! Rockets being constructed with recycled bottles and tennis balls while a launch happening every 5 minutes. Big Brother was in heaven. Our recent obsession with the solar system has included a focus on rockets. We’ve read tons of books on rockets, talked about rockets, and Big Brother’s love for rockets has even come out in his drawings. With recycled soda bottle in hand, we taped our tennis ball to the nose of our rocket, traced and connected our fins, filled our bottle nearly half way with water, and signed up for our launch. Given there were 26 kids ahead of us on the sign up sheet we enjoyed the launch of many rockets before our turn. Big Brother was mesmerized. But finally, his name was called and he was instructed to fill his rocket with 70psi of CO2. The countdown began and his rocket took off! And soaked us with the spray of water it left behind, which he thought was hilarious. It was super exciting and left Big Brother on a rocket launch high! Hooray for science! Looks like fun! It is so nice to find opportunities to bring interests to life like this!